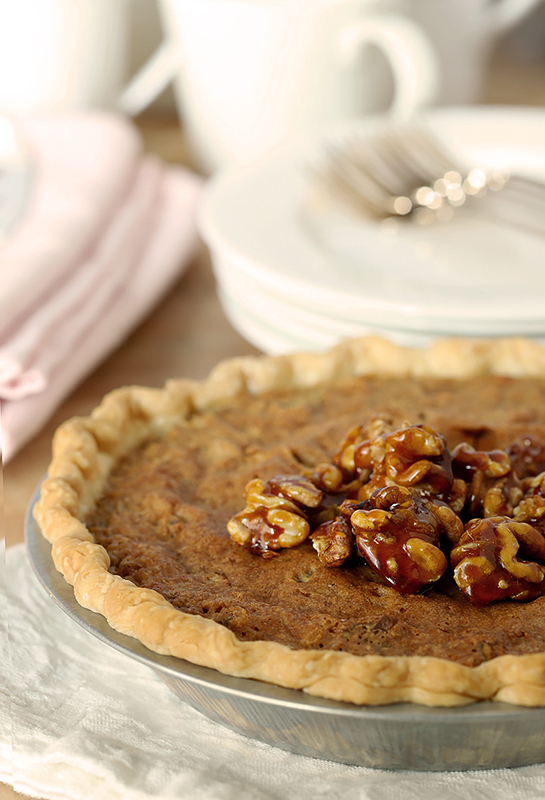 The Kentucky Derby isn’t just about a famous cocktail; almost as famous in the South is this Kentucky Derby Pie with Walnuts and Bourbon. Don’t even think about using something other than Kentucky Bourbon! I know I know…I’m really posting this late in the day. Heck I’m posting it late in the week! But it had to be done so better a bit late than never I say. I’ve been making this pie to serve at my home for every Kentucky Derby that I can remember but I’ve been remiss about sharing it on the blog with you; good intentions every single year but this business of the Derby and Cinco de Mayo happening on the same day is well, for the birds! I missed my opportunity last year so I pre-dated the post; made a draft with the recipe and dated it so it would be sort of ready for this year. Which means I have seen that draft every single day I login to work on posts and now that the time had some to actually make the pie I was foiled again. No particularly worthy excuse; I guess I was concentrating too much on Mint Juleps? But it is better late than never. It’s about as simple as it gets but also simply delicious. It’s an easy flour, sugar, egg, and butter base filled with chocolate chips, toasted walnuts and the key ingredient…Kentucky Bourbon. Yes, KENTUCKY. Although most bourbon is produced in Kentucky, not all of it is but I suggest for this pie that you make sure that happens; it’s sort of critical that the pie for the biggest sports event in Kentucky also be made with the bourbon it’s known for. I used Basil Hayden; it only takes a couple of tablespoons of the liquid elixir so why not use the best? I candied a handful of walnuts to garnish it with but honestly; unless you’re taking photos and publishing them for the world to see; it’s not necessary. They were good but really just for show; that plain pie without them was just, well, a bit too plain. This pie is so rich and wonderful I had better get on the horn and find some people to come help me eat it…else I fear I would be inclined to just call it dinner. I know I’m sharing it with you pretty late in the day for an event on Saturday but two things. 1. It’s SO easy. and 2. 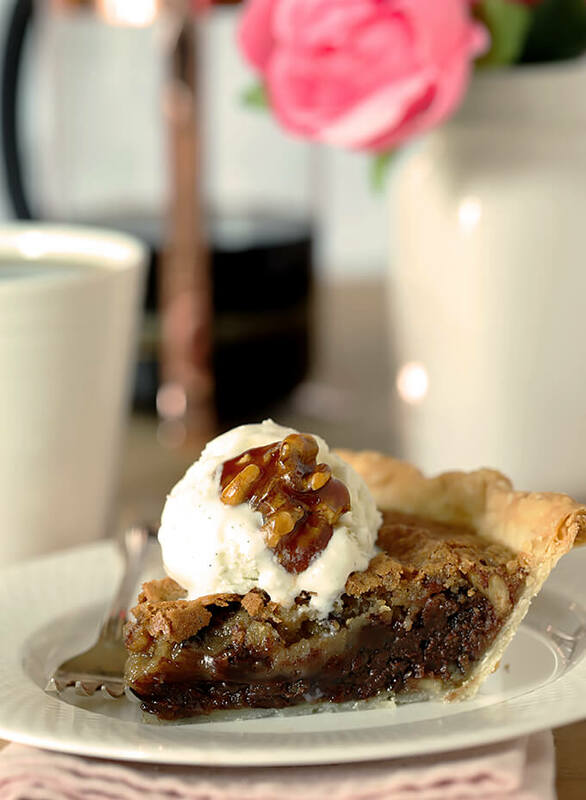 It’s simply a great chocolate pie…serve it all year round! Do you have a favorite horse? I have a very sophisticated method of choosing one…I wait til they get to the gate and then just pick one. I don’t make much money (well, I don’t actually bet either) but I have won once. Not a great track record but safe. Pick your horse, grab a slice of pie and watch the Derby with me; it truly is the most exciting 2 minutes in sports! 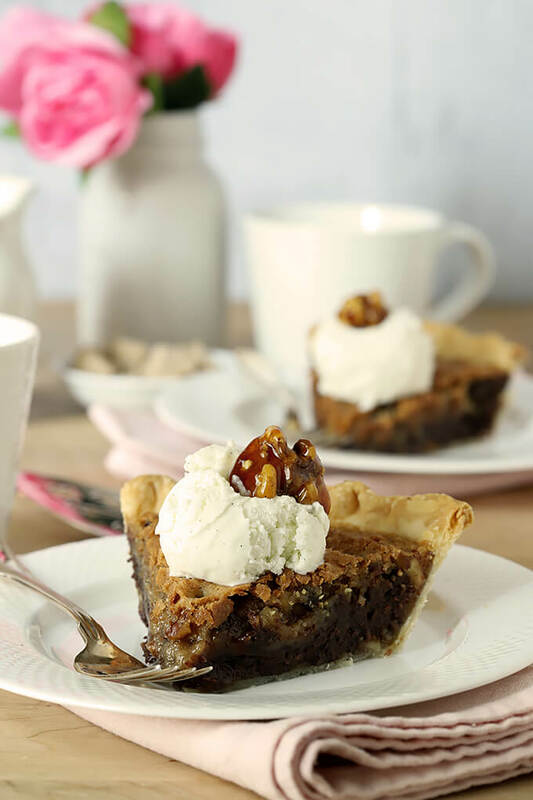 The post Kentucky Derby Pie with Walnuts and Bourbon appeared first on Creative Culinary.